The above template is an operational plan template designed to present your day to day actions and plans in details. 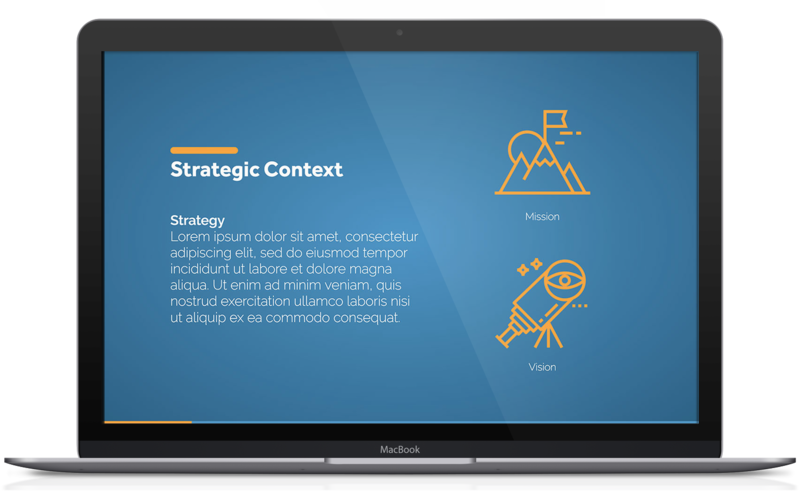 The template will simplify the process of coming up with an operational plan suitable for your business. It will also refine editing of the plan to suit its audience or the company’s needs at any given moment. Businesses continue to invest a lot of resources into the preparation of strategic plans. The strategic plan outlines the business goals and objectives and strategies to accomplish them. It is an important document for any company. However, it does not articulate in details how the company will achieve the set objectives. The lack of details then calls for another plan. The operational plan is, therefore, a highly detailed strategy that gives directions on how an organization, department or a team is to help achieve the set objectives. It specifies what needs to be done, the individuals tasked with accomplishing the tasks, set the timeline for the achievement of the task and the finances available. Do You Need An Operational Plan? The operational plan, fundamentally, is the outline of how the strategies contained in the strategic plan are to be implemented. It is created based on the strategic plan to activate it. 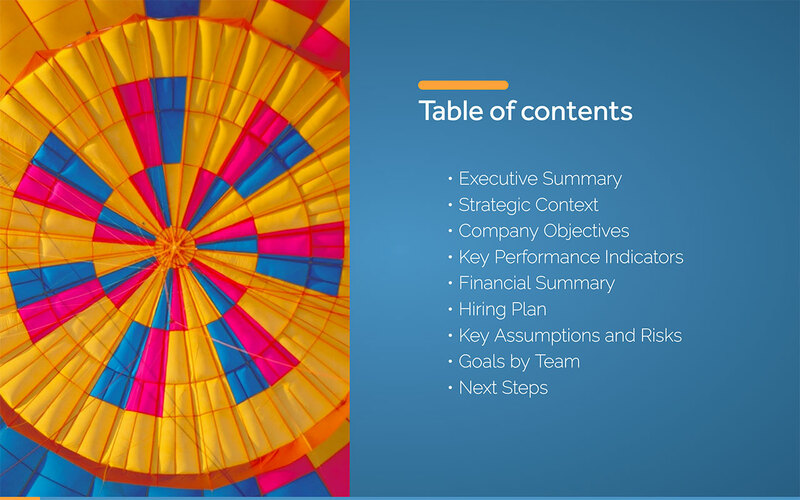 While the strategic plan sets goals to be achieved over a long-term period, an operational plan outlines the short-term management of the business. An operational plan gives the staff in the business their roles and responsibilities in line with the strategic goals and objectives. Each member of staff can understand what is required of them and how to do it. This eliminates confusion and supplication of roles within the organization. 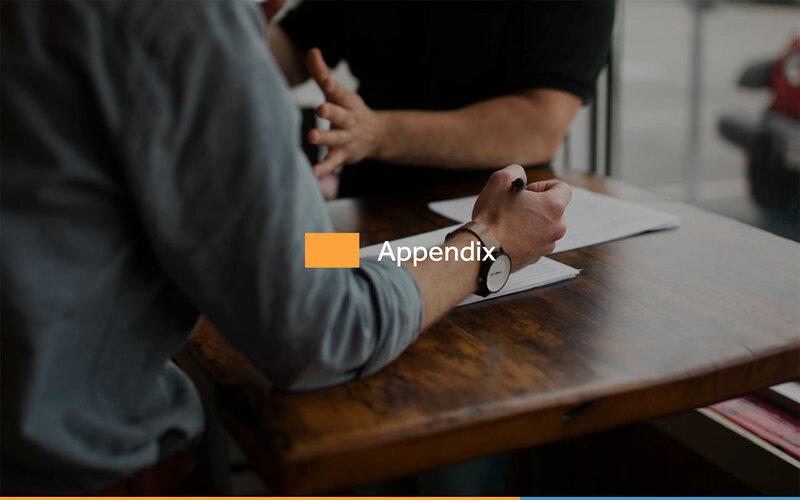 It is a crucial management tool that defines the coordination of the resources of the business towards the achievement of the goals and objectives of the strategic plan. It distinguishes how the organization is to use its human, financial and physical resources daily to achieve its goals. This minimizes wastage of resources on nonproductive and unplanned activities. An operational plan is produced by the company's management and the members of staff. Each member has the opportunity to contribute opinions on the best way to achieve the goals of the business. This gives a sense of responsibility and ownership among the staff members. 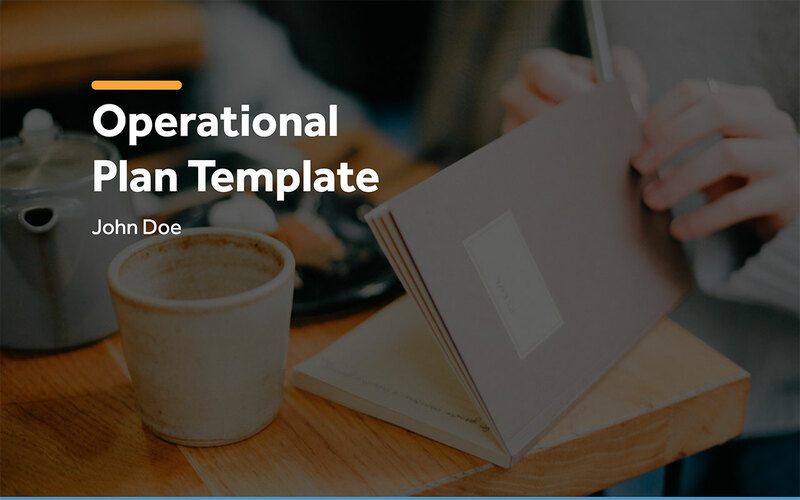 Our operational plan template provides both general and customized slides that suit your business. 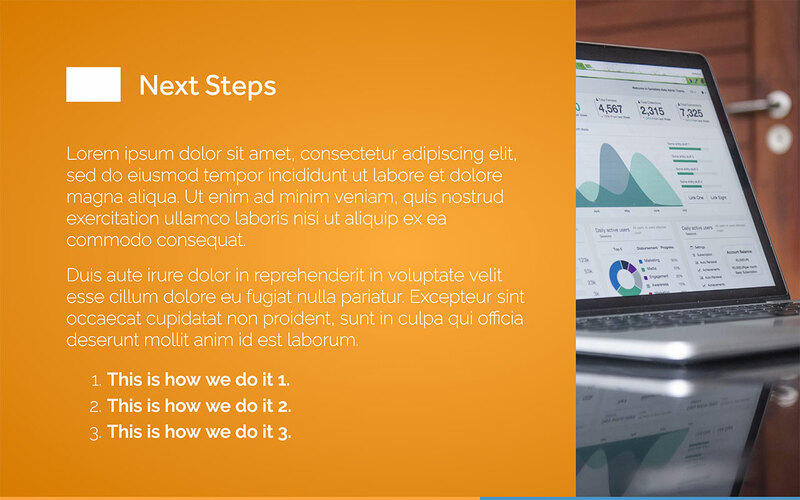 You can create more slides depending on the various departmental needs of the organization. The first slide is the cover page. The business or company name, image, and logo are inserted beside the time frame for the plan. The cover slide is followed by the table of contents. It gives an outline of how the entire plan flows. 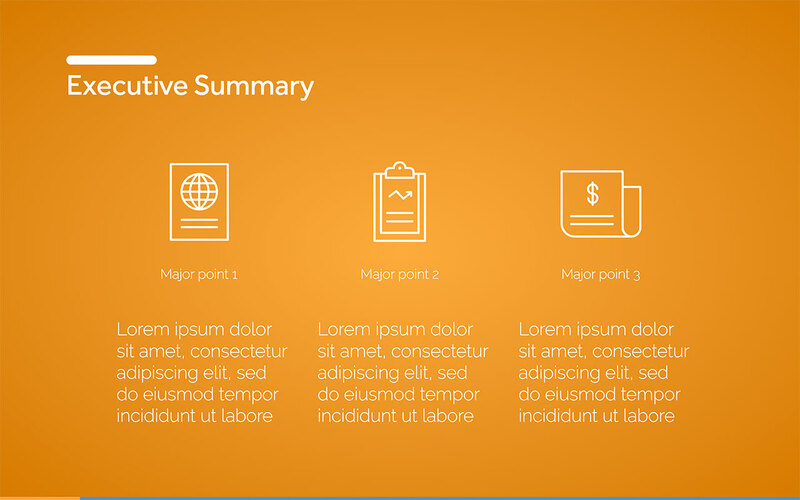 Our executive summary slides give the senior management the opportunity to describe the plan in three major points. This gives the general overview of the plan over the next one year. 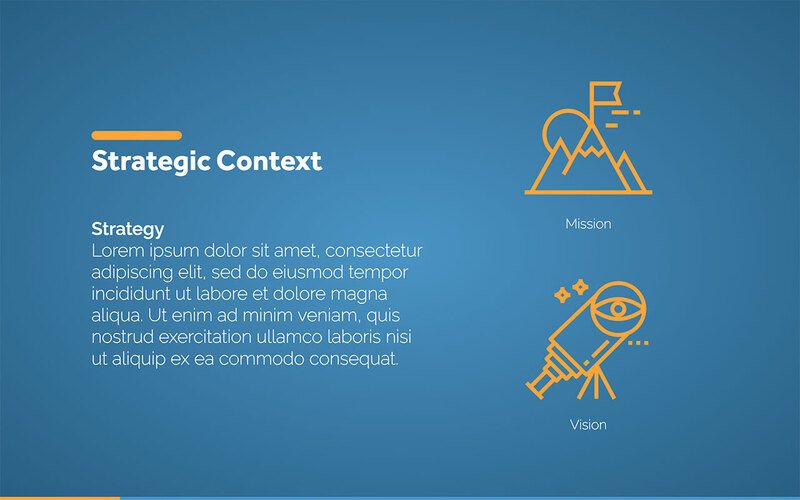 The company's mission, vision and strategy are documented in this slide. 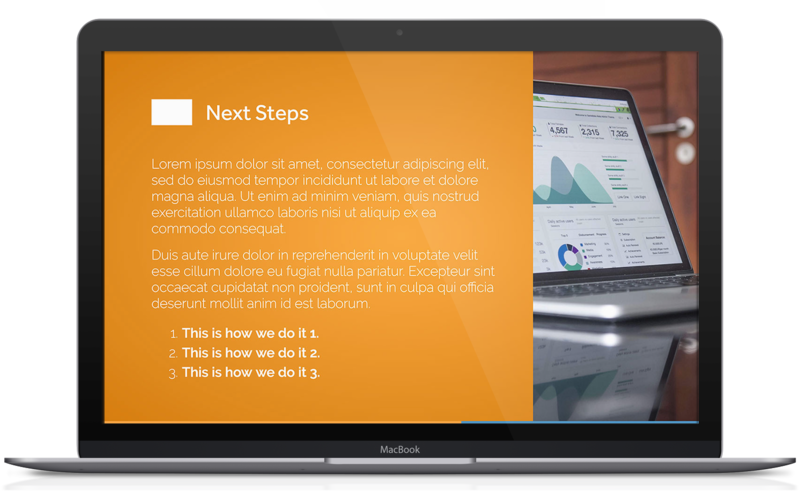 It can also be used to detail any changes in the business environment or revenue streams. At this point, you need to expound several measures that will show the success of your strategy. 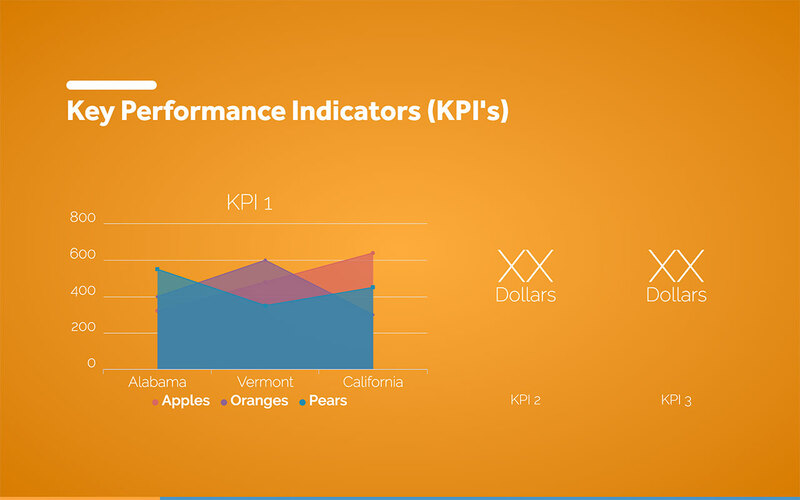 You can list up to 5 indicators to measure the plan’s success within a given timeline. 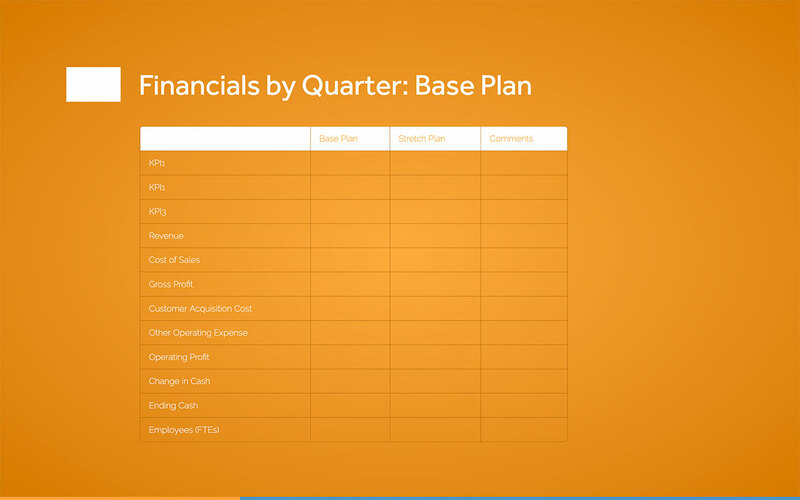 Our template gives you the chance to outline the financial details of your business. 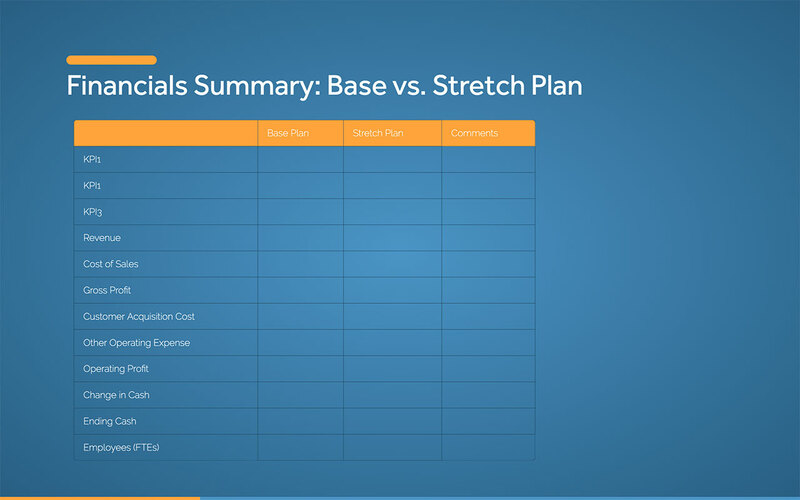 You get to compare the base plans and the stretch plans and note down the comments. You also get to analyze the quarterly financial projections in details. 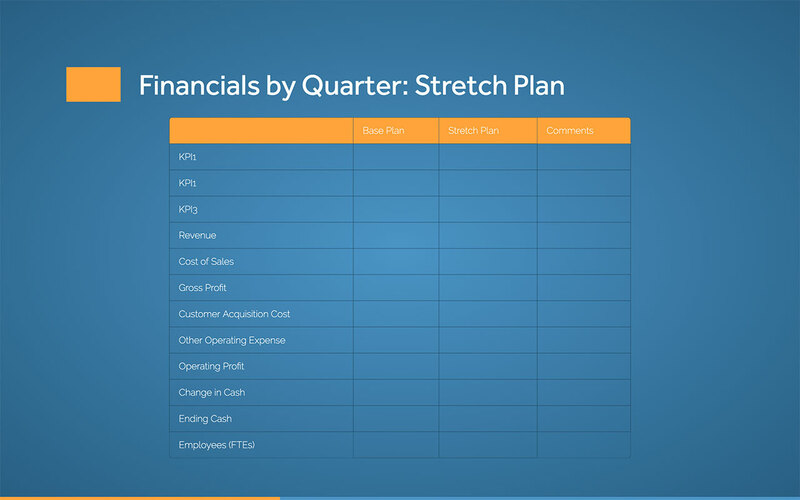 We also have other slides that allow you to discuss the financial details of the stretch plan. 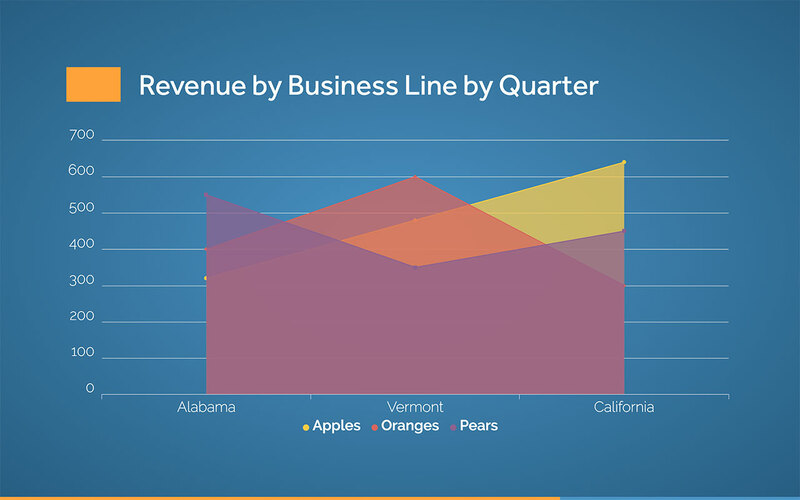 You can include visual analysis such as graphs and tables to give clarity. In this slide, you get to indicate the various departmental staff requirements. 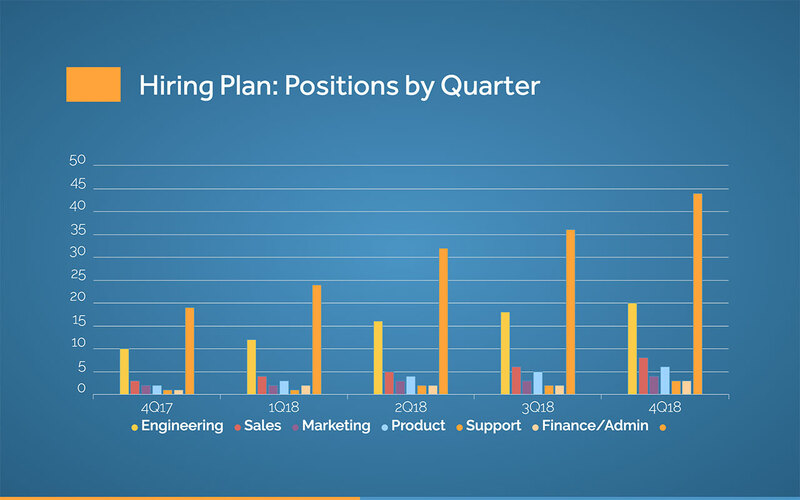 Each department sets out the human resource requirements it will need every quarter for the whole year. 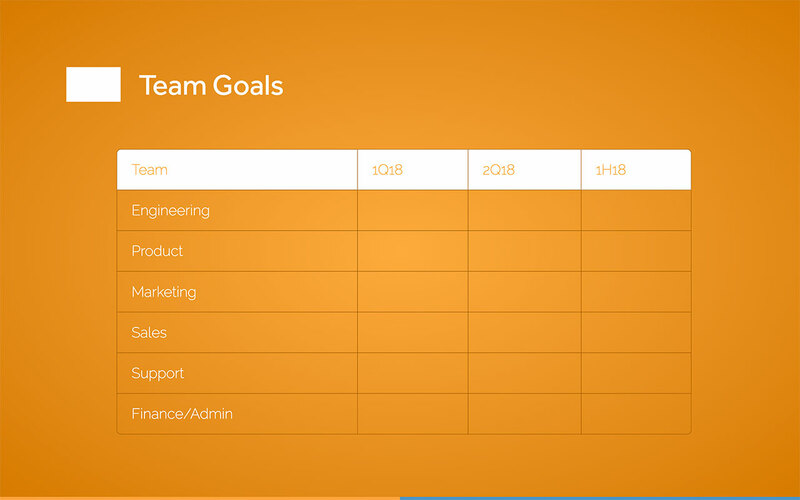 The various teams or departments in the business get to list their objectives and key results for the year. The goals are then subdivided into the quarters. It is important to foresee the risks that the business may face and come up mitigation strategies. plans need to be approved by a board? What are the reporting structures? 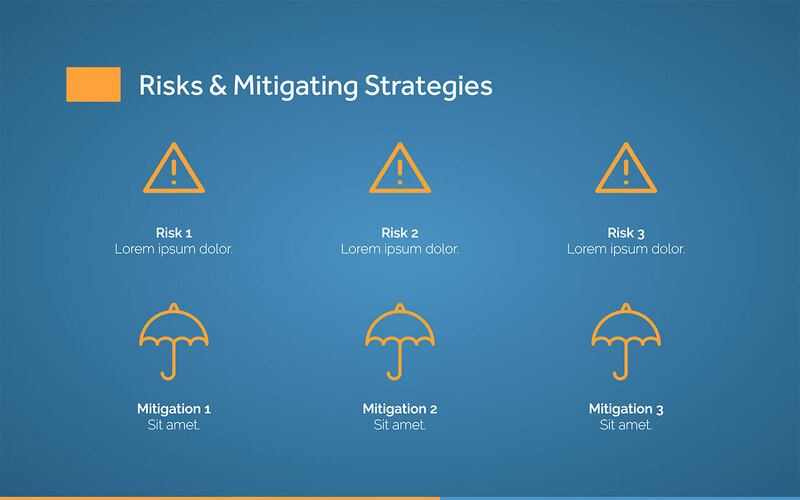 The slides that come after are useful for indicating information that would not be necessary for the main context. The information is crucial for the audience and the business too. 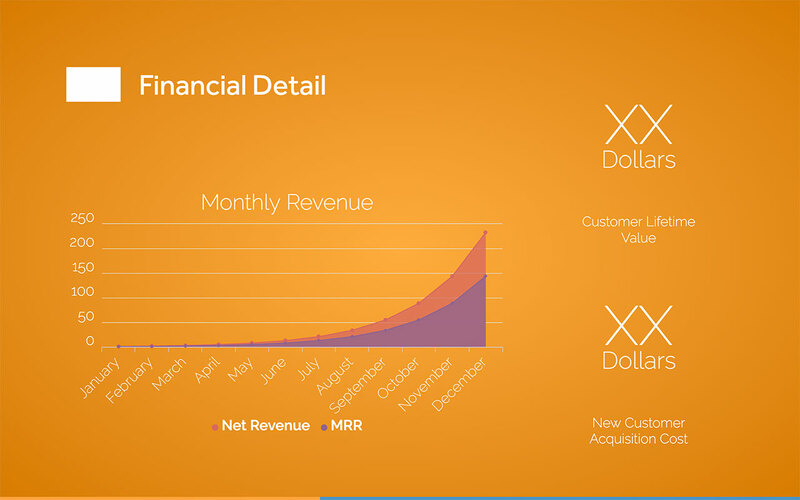 Such information may include quarterly revenue by business line, quarterly expenses and Product roadmap by quarter. The final slide is used to indicate the contact information of your business. Who the audience can contact if they need more information and the business website are ideal.